Background/aim: Systemic sclerosis (SSc) is an autoimmune disease characterized by microvascular injury, excessive extracellular matrix deposition, and fibrosis in the skin and internal organs. Bacterial and viral infectious agents have been suspected to be contributing factors in the development and progression of the pathologic features of SSc. Materials and methods: In this study, 30 SSc patients who were admitted to the rheumatology unit of the Konya Training and Research Hospital and 30 healthy controls were included. The presence of 9 different antibodies (IgM and IgG) against Helicobacter pylori, cytomegalovirus (CMV), Epstein-Barr virus (EBV), and parvovirus B19 were investigated in sera samples obtained from the 60 participants using an enzyme-linked immunosorbent assay method. The characteristics of current and past infections with H. pylori, CMV, EBV, and parvovirus B19 were evaluated by determining the seropositivity of the tested bacterial and viral agents. Results: The prevalences of H. pylori, CMV, EBV, and parvovirus B19 were determined to be higher in patients with SSc than in the control group. Conclusion: SSc is associated with a higher rate of certain infections, which deserves further investigation in order to assess the role of infections in disease etiology/pathogenesis. Hannu T, Hedman K, Hedman L, Leirisalo-Repo M. Frequency of recent parvovirus infection in patients examined for acute reactive arthritis. A study with combinatorial parvovirus serodiagnostics. Clin Exp Rheumatol 2007; 25: 297–300. Namboodiri AM, Rocca KM, Kuwana M, Pandey JP. Antibodies to human cytomegalovirus protein UL83 in systemic sclerosis. Clin Exp Rheumatol 2006; 24: 176–178. Moroncini G, Mori S, Tonnini C, Gabrielli A. Role of viral infections in the etiopathogenesis of systemic sclerosis. Clin Exp Rheumatol 2013; 31 (Suppl. 76): 3–7. Subcommittee for Scleroderma Criteria of the American Rheumatism Association Diagnostic and Therapeutic Criteria Committee. Preliminary criteria for the classification of systemic sclerosis (scleroderma). Arthritis Rheum 1980; 23: 581–590. Black CM. Systemic sclerosis and pregnancy. Clin Rheumatol 1990; 4: 105–124. Amital H, Gershwin EM, Shoenfeld Y. Reshaping the mosaic of autoimmunity. Semin Arthritis Rheum 2006; 35: 341–343. Shoenfeld Y, Blank M, Abu-Shakra M, Amital H, Barzilai O, Berkun Y, Bizzaro N, Gilburd B, Zandman-Goddard G, Katz U et al. The mosaic of autoimmunity: prediction, autoantibodies, and therapy in autoimmune diseases–2008. Isr Med Assoc J 2008; 10: 13–19. Randone SB, Guiducci S, Cerinic MM. Systemic sclerosis and infections. Autoimmun Rev 2008; 8: 36–40. Tachibana I, Bodorova J, Berditchevski F, Zutter MM, Helmer ME. NAG-2, a novel transmembrane-4 superfamily (TM4SF) protein that complexes with integrins and other TM4SF proteins. J Biol Chem 1997; 272: 181–189. Zhou YF, Show M, Harrell RF, Yu ZX, Unger EF, Epstein SE. Chronic non-vascular cytomegalovirus infection: effects on the neointimal response to experimental vascular injury. Cardiovasc Res 2000; 45: 1019–1025. Aragona P, Magazzu G, Macchia G, Bartolone S, Di Pasquale G, Vitali C, Ferreri G. Presence of antibodies against Helicobacter pylori and its heat-shock protein 60 in the serum of patients with Sjogren’s syndrome. J Rheumatol 1999; 26: 1306–1311. Savarino V, Sulli A, Zentilin P, Raffaella Mele M, Cutolo M. No evidence of an association between Helicobacter pylori infection and Raynaud phenomenon. Scand J Gastroenterol 2000; 35: 1251–1254. Sulli A, Seriolo B, Savarino V, Cutolo M. Lack of correlation between gastric Helicobacter pylori infection and primary or secondary Raynaud’s phenomenon in patients with systemic sclerosis. J Rheumatol 2000; 27: 1820–1821. Danese S, Zoli A, Cremonini F, Gasbarrini A. High prevalence of Helicobacter pylori type I virulent strains in patients with systemic sclerosis. J Rheumatol 2000; 27: 1568–1569. Gasbarrini A, Massari I, Serricchio M, Tondi P, De Luca A, Franceschi F, Ojetti V, Dal Lago A, Flore R, Santoliquido A et al. Helicobacter pylori eradication ameliorates primary Raynaud’s phenomenon. Dig Dis Sci 1998; 43: 1641–1645. Vaughan JH, Shaw PX, Nguyen MD, Medsger TJ, Wright TA, Metcalf JS, Leroy EC. Evidence of activation of 2 herpes virus, Epstein–Barr virus and cytomegalovirus, in systemic sclerosis and normal skins. J Rheumatol 2000; 27: 821–823. Pandey P, LeRoy EC. Human cytomegalovirus and the vasculopathies of autoimmune diseases (especially scleroderma), allograft rejection, and coronary restenosis. Arthritis Rheum 1998; 41: 10–15. Ferri C, Cazzato M, Giuggioli D, Sebastiani M, Magro C. Systemic sclerosis following human cytomegalovirus infection. Ann Rheum Dis 2002; 61: 937–938. Vaughan JH, Smith EA, LeRoy EC, Arnett FC, Wright TA, Medsger TA. An autoantibody in systemic scleroderma that reacts with glycine rich sequences. Arthritis Rheum 1995; 38 (Suppl. 9): S255. Muryoi T, Kasturi KN, Kafina MJ, Cram DS, Harrisson LS, Sasaki T, Bona CA. Antitopoisomerase I monoclonal autoantibodies from scleroderma patients and tight skin mouse interact with similar epitopes. J Exp Med 1992; 175: 1103–1109. Tsukamoto K, Hayakawa H, Sato A, Chida K, Nakamura H, Miura K. Involvement of Epstein–Barr virus latent membrane protein 1 in disease progression in patients with idiopathic pulmonary fibrosis. Thorax 2000; 55: 958–961. Rhodes GH, Valbrach JR, Nguyen MD, Vaughan JH. The p452 gene encodes an autoantigen that cross reacts with EBNA-1 of the Epstein–Barr virus and which may be a heterogeneous nuclear ribonucleoprotein. J Autoimmun 1997; 10: 447–454. Farina A, Cirone M, York M, Lenna S, Padilla C, McLaughlin S, Faggioni A, Lafyatis R, Trojanowska M, Farina GA. Epstein- Barr virus infection induces aberrant TLR activation pathway and fibroblast-myofibroblast conversion in scleroderma. J Invest Dermatol 2014; 134: 954–964. Nikkari S, Mertsola J, Korvenranta H. Wegener’s granulomatosis and parvovirus B19 infection. Arthritis Rheum 1994; 37: 1707– 1708. Finkel TH, Torok TJ, Ferguson PJ, Durigon EL, Zaki SR, Leung DY, Harbeck RJ, Gelfand EW, Saulsbury FT, Hollister JR et al. Chronic parvovirus B19 infection and systemic necrotising vasculitis: opportunistic infection or aetiological agent. Lancet 1994; 343: 1255–1258. Veraldi S, Mancuso R, Rizzitelli G, Gianotti R, Ferrante P. Henoch-Schönlein syndrome associated with human parvovirus B19 infection. Eur J Dermatol 1999; 9: 232–233. Crowson AN, Magro CM, Dawood MR. A casual role for parvovirus B19 infection in adult dermatomyositis and other autoimmune syndromes. J Cutan Pathol 2000; 27: 505–515. Magro CM, Nuovo GJ, Ferri C, Crowson AN, Giuggioli D, Sebastiani M. Parvoviral infection of endothelial cells and stromal fibroblasts: a possible pathogenetic role in scleroderma. J Cutan Pathol 2004; 31: 43–50. Ferri C, Zakrzewaka K, Longombardo G, Giuggioli D, Storino FA, Pasero G, Azzi A. Parvovirus B19 infection of bone narrow in systemic sclerosis patients. Clin Exp Rheumat 1999; 17: 718–720. Cassinotti P, Burtonoboy G, Fopp M, Siegl G. Evidence for persistence of human parvovirus B19 DNA in bone narrow. J Med Virol 1997; 53: 229–232. ISNAD BİLGİN, HÜSEYİN , KOCABAŞ, HİLAL , KEŞLİ, RECEP . "The prevalence of infectious agents in patients with systemic sclerosis". 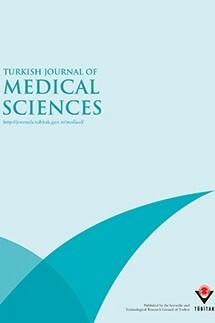 Turkish Journal of Medical Sciences 45 / 6 (December 2015): 1192-1197.